There are few things that reveal the priorities of a government better than a national disaster. 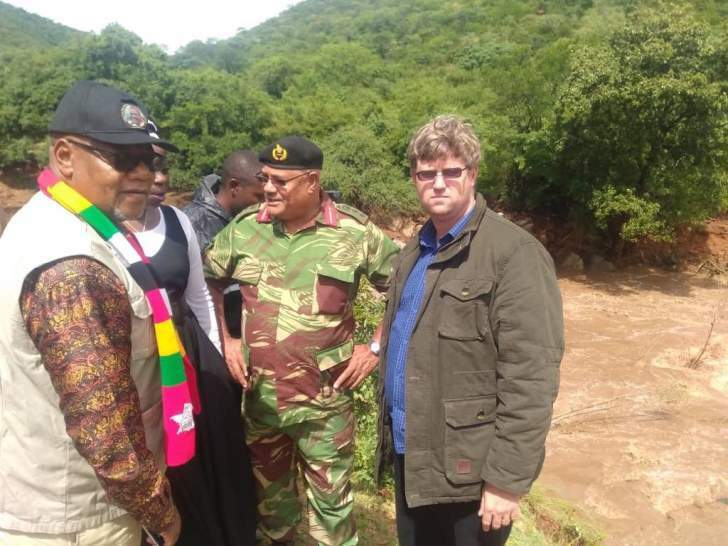 In Zimbabwe, Cyclone Idai, which had left at least 65 people dead and more than 100 missing in its wake by Sunday, has once again raised questions on the country's disaster response. The answer lies in the budget. Here are a few sobering figures. The Department of Civil Protection (DCP), formerly the Civil Protection Unit (CPU), is the Local Government arm tasked with the job of managing disasters. In the 2019 budget, the DCP was allocated $2.36 million for its work. For perspective, this is less than what the government is spending on wages for State Residences, which stand at $3 million. The DCP, which requires experts and constant training, was allocated just $88,000 for staff costs. For goods and services, the DCP only has $58,000. While there is an allocation of $1 million for maintenance of State Residences, the DCP only got a tenth of that, with an allocation of $108,000 for maintenance. For the DCP, there is an allocation of $100,000 for capital expenditure, which is not enough to by the fully kitted out, high spec 4X4s for the unit's purposes. Compare that with $3.4 million, the allocation granted by the government for a vehicle loan scheme for chiefs. In fact, the allocation for chiefs in this budget is $5.2 million, more than two times what the DCP has been given to protect millions of people from disasters. From that $2.36 million, the DCP is expected to run an effective early-warning system, to push extensive communication campaigns, to coordinate the evacuation of people in harm's way and to lead rescue efforts in times of crisis, such as Cyclone Idai. All from a budget that is a fraction of what we are spending on chiefs. Last year, DCP director Nathan Nkomo said the unit "is operating on a shoestring budget". To function properly, the DCP needed an allocation of at least $10 million a year, he was quoted as saying. What exactly does department do? The DCP has the responsibility of coordinating the management of disasters. This is done thought the National Civil Protection Coordination Committee (NCPCC), which pools together government departments, parastatals and NGOs. In times of crisis, Provincial and District Administrators (PAs / DAs) are mandated to chair DCP actions to lead emergency responses, through the Provincial or District Civil Protection Committees. Members of the NCPCC, in times of crisis, are grouped into sub-committees: Food supplies and food security chaired by Ministry of Public Service Labour and Social Welfare Health; Nutrition and Welfare, chaired by Ministry of Health and Child Care; Search, Rescue and Security, chaired by Zimbabwe Republic Police; and International Cooperation and Assistance, chaired by Ministry of Finance. Zimbabwe has experienced serious floods over the past two decades. In 2000, Cyclone Eline devastated parts of the country, claiming 136 lives and destroying tens of thousands of houses. Each time, the disasters have left deaths and significant damage to infrastructure in their wake. However, the government's response has not improved after each crisis, as one would expect. While the Met Department and the DCP did issue out warnings, days ahead of Cyclone Idai making landfall in Beira, there was not much else done. Zimbabwe was already poorly prepared by then. The poor funding affects not just preparedness and reaction during disaster. It also makes it hard for DCP to act after the crisis. One of its jobs is helping victims recover, both psychologically and materially. However, a line in the Blue Book, the Treasury record of expenditure, shows how badly DCP is doing on that score. For 2017, under the performance indicator of "psychological trauma support as a proportion of highly traumatic events", the DCP scored only 10%. In other words, the DCP did not go back to help people affected by floods to pick up the pieces and get on with their lives. With global warming, floods and other extreme weather will worsen over the coming years. There is nothing that Zimbabwe can do about the weather, but there is a lot the country can do to prepare better for disasters, to respond more efficiently, and to build resilience. It starts with spending more on protecting people, than on luxury and patronage.